While Macs are great in many ways, the one area where they can be extremely frustrating is when you need to uninstall an app. In some cases you may find it extremely difficult (and even impossible) to uninstall certain apps on your Mac – so much so you may very well just give up and resign yourself to having those apps installed. The ‘normal’ way of uninstall apps on Macs is actually really straightforward. All that you need to do is find the app and place it in the trash bin by either dragging and dropping it or right-clicking (or control-clicking) and selecting the option to move it to the trash bin. Unfortunately that does not always work – especially for certain types of apps. Generally speaking there are two types of apps that are notoriously difficult to remove on Macs: Native OS X apps that came as part and parcel of the operating system, as well as apps that are installed as plugins – such as the Flash plugin for OS X, or Java Runtime and browser plugin. When you attempt to remove native OS X apps, an error will pop up and a message will be displayed that states the application cannot be modified or deleted because it is required by OS X. On the other hand attempting to remove apps that are installed in plugins is difficult, because you won’t be able to see them in order to remove them in the first place. Apps that are installed as plugins – To remove these apps you will need to either download a separate uninstaller app for that plugin, or find instructions on how to manually remove it by searching online. Native OS X apps – Before you can remove native OS X apps you will need to disable the System Integrity Protection. After that you can remove the app by typing “sudo rm –rf /Applications/Chess.app” into a terminal window (replace Chess.app with the name of the app you want to remove). Needless to say all this is a lot of work, which is you can easily learn how to uninstall iTunes, other native OS X apps and apps installed as plugins by using Movavi Mac Cleaner. The ‘Uninstaller’ feature in the software will help you to quickly and conveniently remove any apps you require – while ensuring no traces of them are left behind. At the same time Movavi Mac Cleaner will also help you to clear out any junk from your Mac by automatically scanning it and then letting you do so with a click of the mouse button. It also comes a feature to help you delete confidential files, as well as an antivirus and firewall. 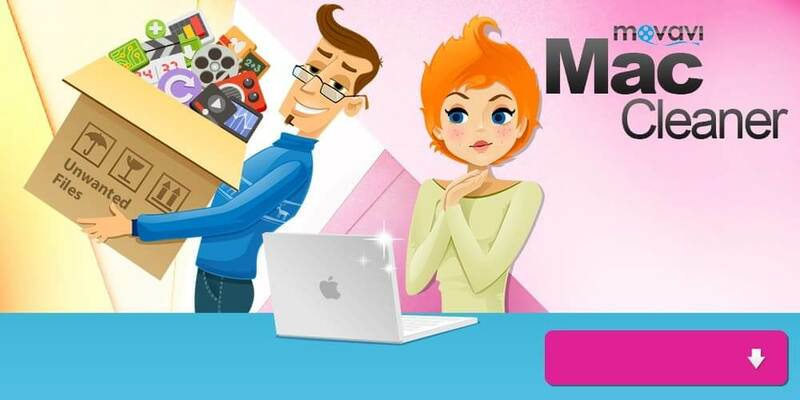 Essentially Movavi Mac Cleaner will help you to keep your Mac clean by removing junk files and making it possible for you to easily delete any apps you don’t need. Considering how complicated it is to do so manually, it would be worth your while to check it out. This article was published in Internet and tagged Apps, Mac.